We’re thrilled to announce Orlando Jopling has been appointed as Associate Conductor of English National Ballet Philharmonic for the 2018/2019 season. Jopling’s appointment is made as part of an expansion to our Music department and an ongoing commitment to our orchestra, ensuring live music is a vital part of the Company’s UK performances. Led by Music Director, Gavin Sutherland, English National Ballet Philharmonic is one of the largest orchestras of its kind in Europe, touring the UK with our dancers each season. 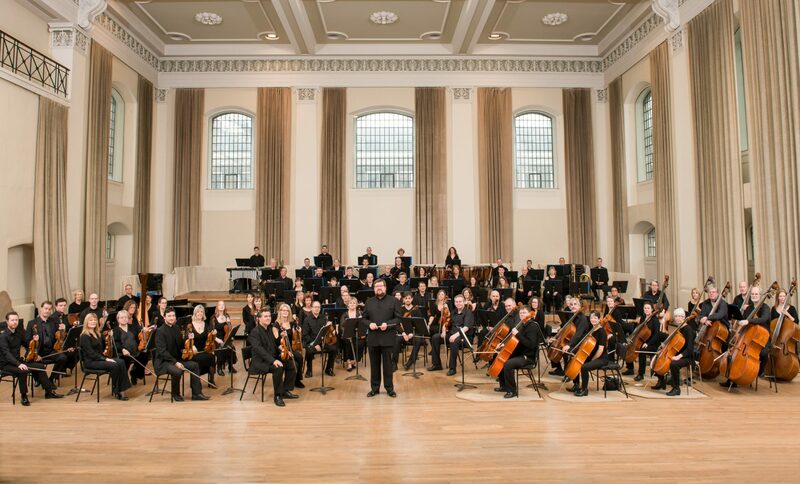 The new role of Associate Conductor will provide musicianship and administrative support to our Music Director Gavin Sutherland by conducting and playing for rehearsals, and liaising across all departments on behalf of the Music department. Orlando Jopling trained at the Royal Academy of Music, National Opera Studio and University of Cambridge. He has worked for a number of orchestras including Royal Philharmonic Orchestra and the LSO, and co-founded Tête à Tête: The Opera Festival in 1997. Orlando is principal conductor of the Royal Orchestra Society and the Roman River Festival in Essex. He has arranged and re-orchestrated music for many orchestras, opera companies and chamber groups, and has composed music for television. He joined us as a guest conductor for The Sleeping Beauty in June 2018. Also joining English National Ballet Philharmonic is Gerry Cornelius who, following his recent work with the Company, has been appointed Principal Guest Conductor. Gerry Cornelius trained at Durham University, Royal Academy of Music and St Petersburg Conservatory. He has been a regular guest conductor with English National Ballet for our productions of Swan Lake, The Sleeping Beauty, Nutcracker, Cinderella, The Snow Queen, Romeo & Juliet in-the-round and Akram Khan’s Giselle. We start off the 2018/2019 season with Lest We Forget at Sadler’s Wells from 20 – 29 September, followed by a national tour of Manon and Swan Lake.